Wonderful visit from long-time visitors over the years. Exchanged “gag gifts”, sang, prayed, visited the countryside together, shared dinner at an Amish friend’s home, and just laughed and laughed all weekend. Harold and Thelma Petite. An inspiration to all who meet them. We make breakfast, but we party at dinner with our guests. Had a cool, delicious, relaxing dinner at the Greenside Golf Club Grill with guests who decided to stay several days longer at the Inn than planned. It was like a Stay-cation for us…lots of good conversation and fun. Thank you Angela, John, Steve, Dawn, Dave, Lynn, Karen and Tauyna for a great week. Casual, well prepared, delicious food from burgers to pasta, to fish. Meet Teague, probably our youngest guest, and a gentleman he was! 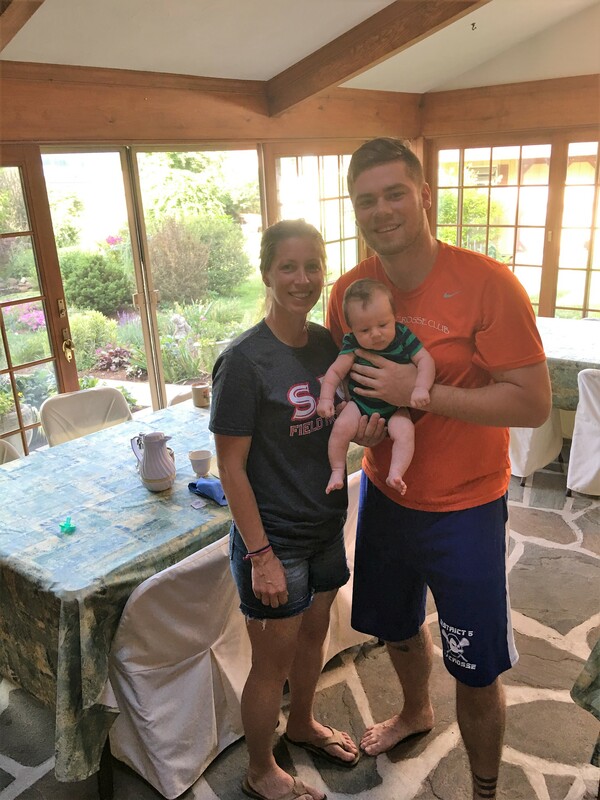 Proud parents, Lynn and Carl, athletic coaches are in our area scouting athletes for St. Joseph’s University in Philadelphia. 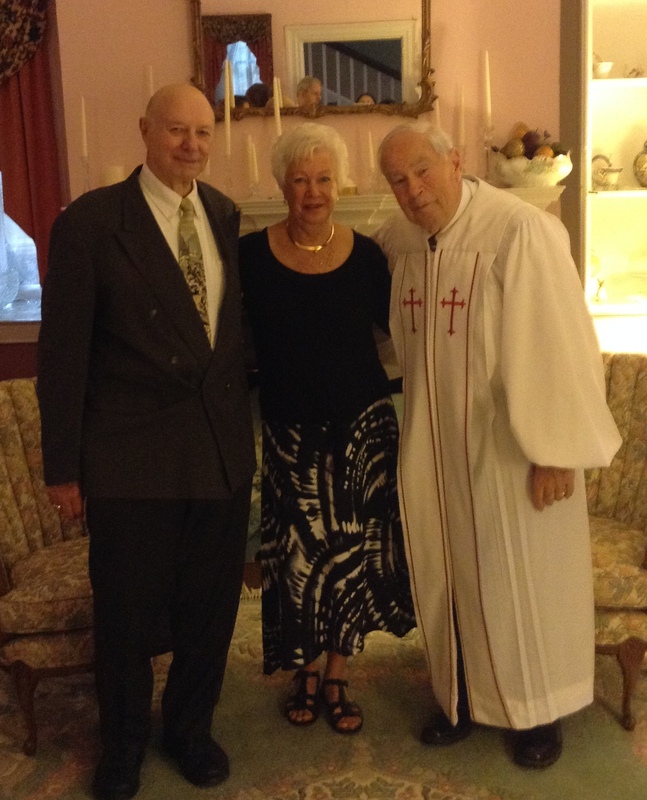 Innkeepers host their own family at the Inn! 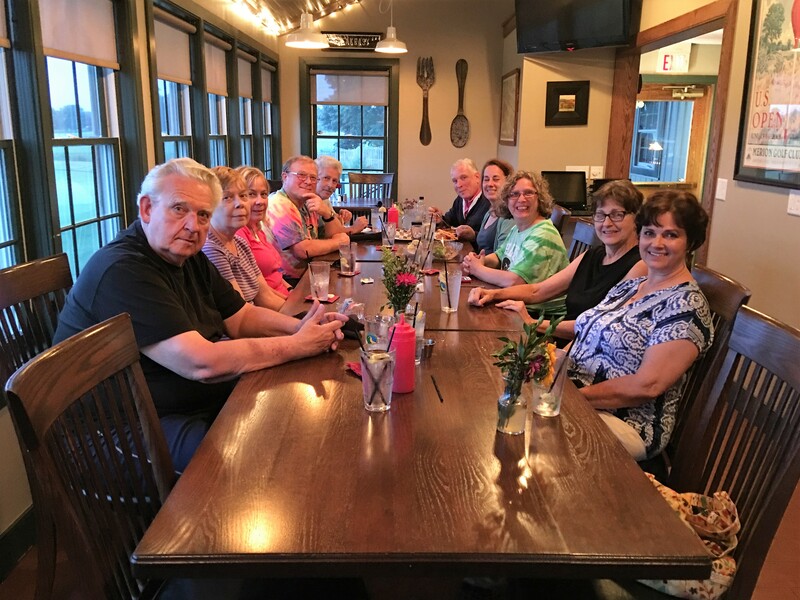 Innkeeper, Chris, hosts “Howard cousins family reunion at the Churchtown Inn. 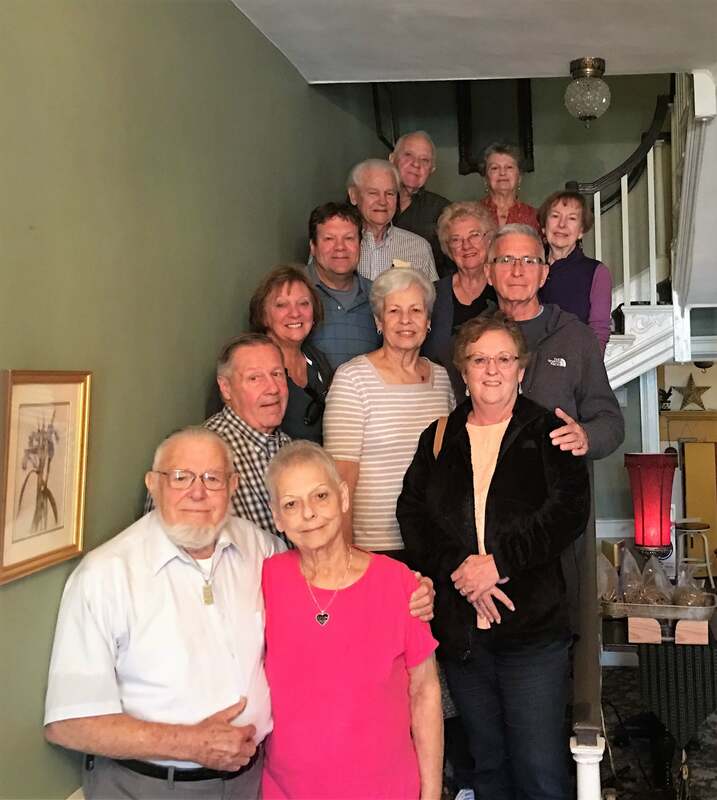 Innkeepers Amish friends, Dave and Naomi Stoltzfus,who frequently serve Inn guests delicious family style meals, threw a surprise birthday party for one special cousin, Margie. Picture is taken on their deck (where guests eat in good weather). Guests could only venture out to the front and back of the house… shared the day chatting, snacking, and enjoying Cornish Game Hens for a warm, comfort-food meal. 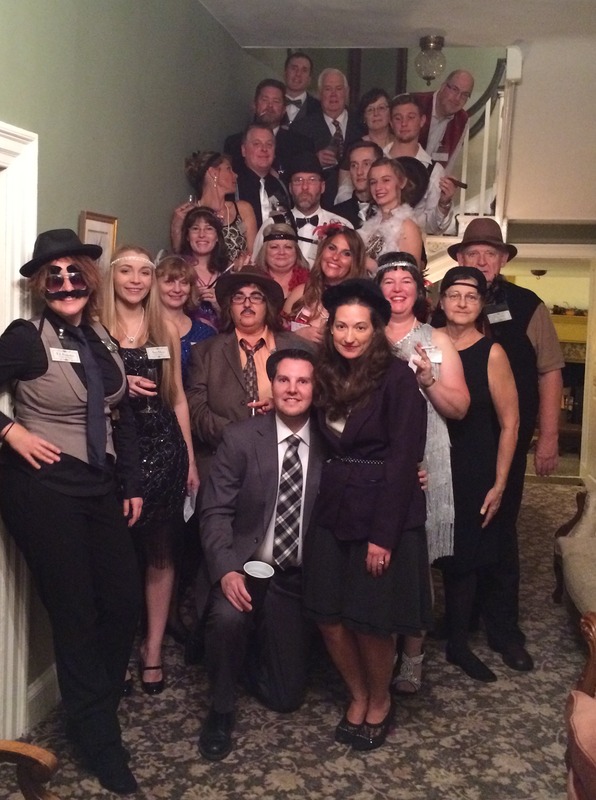 Juice Joint Murder Mystery Group Nov. 2015 This is the group before the dastardly deed was done! Great fun was had by all. Amazing food, good karaoke singing; superb acting out; death scene deserved an Oscar! Let us know if you would like to attend or plan a group Murder Mystery. 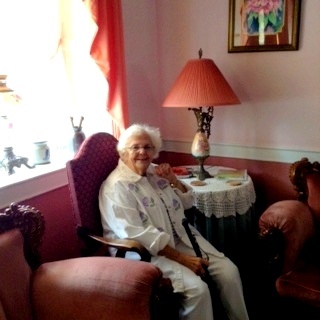 Long time Inn sitter, Ruth Miller, now 88 stopped by for a visit last week. Now living independently in Robesonia, Ruth took care of the Inn while Stuart and Jim vacationed for weeks at a time. Being a self-taught piano player, she would entertain guests hosting sing-alongs in the parlor. 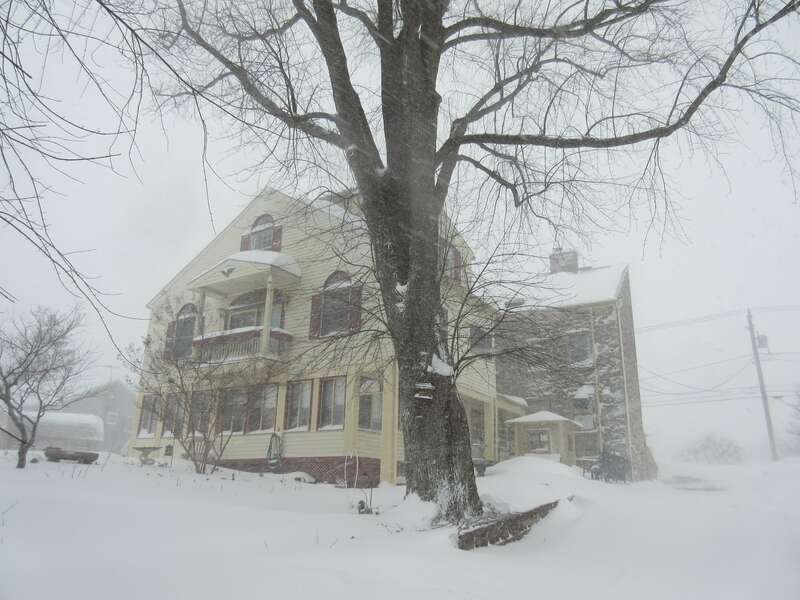 Now when she visits us, she plays and recalls numerous stories about the guests and visitors to the Inn. She has kept a diary and photo album that we have copied and treasure. 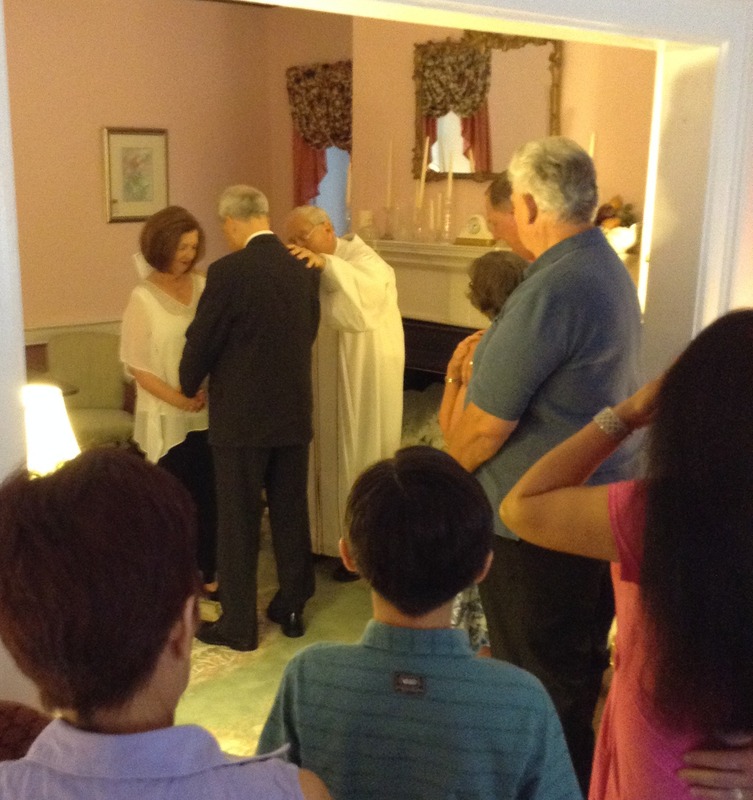 The Churchtown Inn’s Victorian Parlors set the scene for a romantic Wedding Vow Renewal the last weekend of June. Reverend Ken Boyle imparted inspiring words to the participating couples, reminding us of the significance of our past commitment and our new promise to each other. 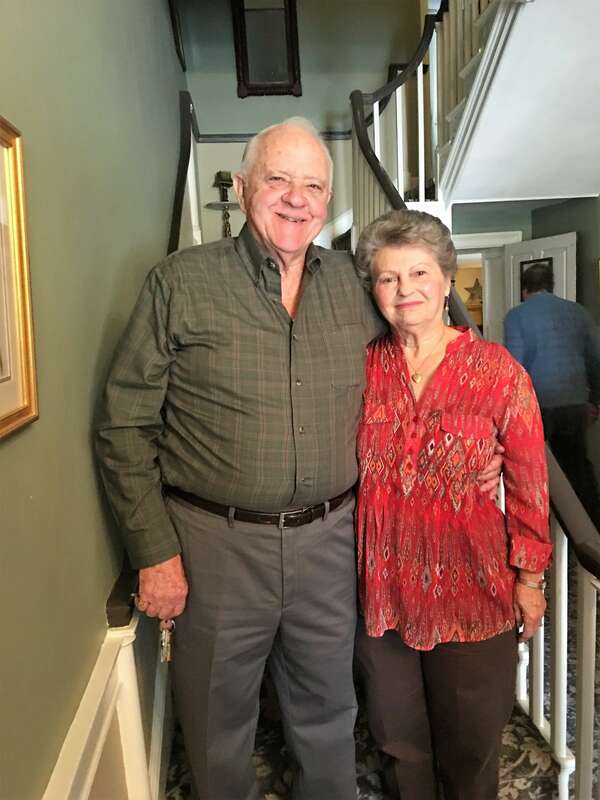 One couple wrote, “It was wonderful to renew our wedding vows at the Churchtown Inn, our home away from home.” We loved everything; the pastor has such warmth and wisdom; the time after the ceremony in the parlor was made special by the appetizers and Champagne provided. The Amish Wedding Feast Dinner at Naomi and David’s home was a treat”. Bill and Barbara proudly celebrating theri 50th with good friends Emma and Ray. Come with their friends every December. 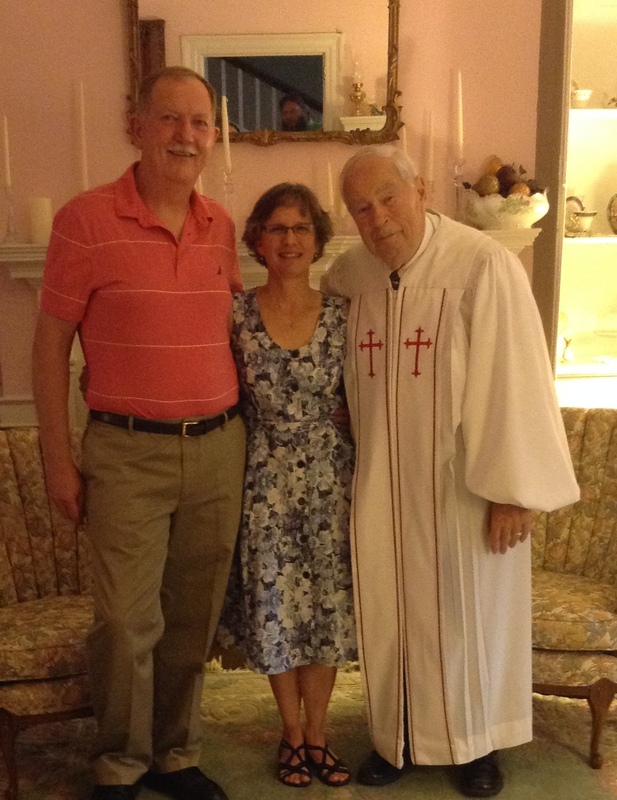 Long time guests of the Inn celebrating their 50th with their good friends, Bill and Pam, also married 50 years on the same day. 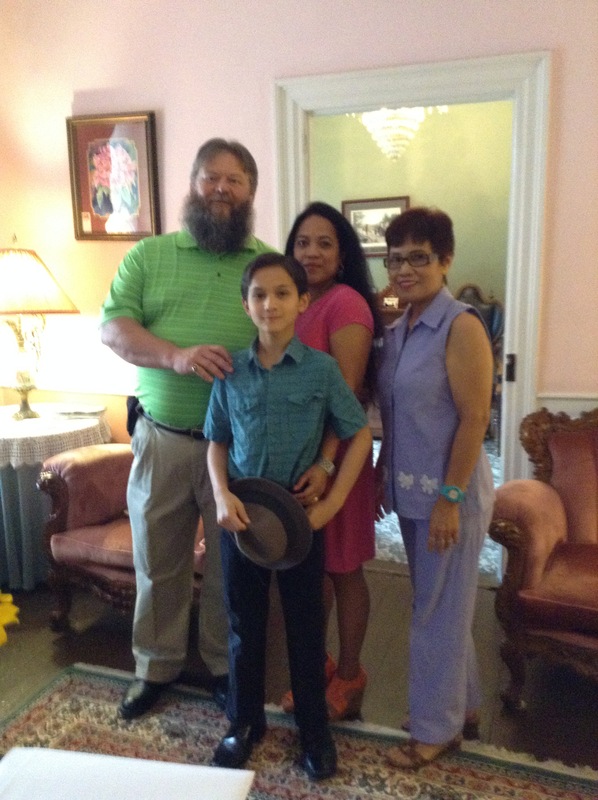 Bob and Jasmin brought their son and her mother to help them celebrate their reunion before they move to the Philippines. Pam’s husband Mike surprised her with this event, simply asking her to pack a dress for a weekend getaway! Getting ready for delicious fresh summer breakfasts! Here we all are stocking up on our herbs; soon to be planted in our fragrant Herb Garden just outside the Breakfast Room! Within minutes of the Inn are multiple plant nurseries that specialize in carrying easy to grow, hard to find and reasonably priced herbs; i.e. sages (pineapple, variegated , purple); basils (Thai, Italian, Pepper); oreganos, thymes, and many more. 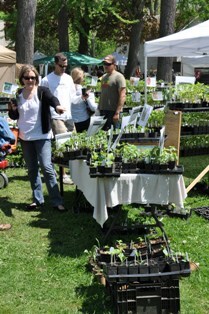 May 8th and 9th is this year’s Annual Landis Valley Herb & Garden Faire, Southeastern Pennsylvania’s most popular horticultural event with over 80 vendors of plants and garden-inspired products, as well as insightful and inspiring lectures and an array of healthy lunch options in our food court. Just made this 3 tiered kitchen herb garden under for under $12.00 Box basil, thyme, and dill will sit on the windowsill and then be used as garnish for breakfast entres. 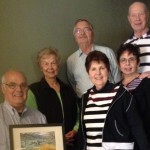 Rick caught the blooming forsythia in front of our beautiful Amish Farm view last spring and presented it to us framed. 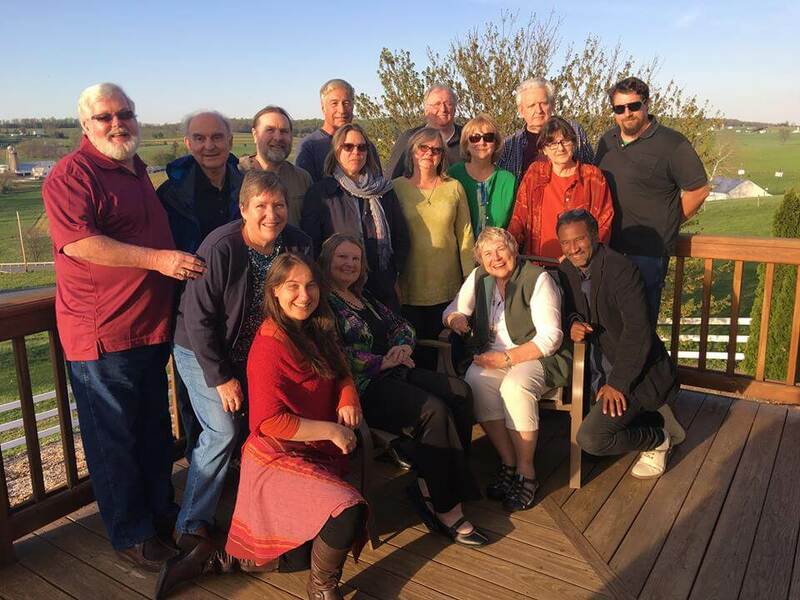 This year the group saw “Funny Girl” at the Dutch Apple Dinner Theater. Looking forward to “Oklahoma” from June 18th to August 1st. Great breakfast conversations…thanks Lucille, John, Rick, Diane, Carol and Rich…see you next year if not sooner.